People who are not immigrating to the United States are considered nonimmigrants. In general, a person who comes to the U.S. as a nonimmigrant is coming here temporarily and for reasons that should be consistent with their visa category. We will discuss various visa options with you and provide you with a solution to meet your needs. We will let you know what documents you need to provide to us. If your visa is based upon work, then we will work with both you and your employer to meet the guidelines outlined by the U.S. government for the appropriate visa category. We will prepare the necessary documents, which you and your employer will have to review. Upon filing the paperwork, our work will involve checking the status of your case while it is pending with the government. We will make phone calls and write letters on your behalf if there are any problems. If there are any requests for additional evidence, we will work with you in preparing an answer and in collecting any supporting documents without extra legal fees incurred to you. Upon approval, we will provide you with copies of your case as well as inform you of the next steps to be taken. If you are in the U.S. and intend to go abroad to make an application for a visa abroad, we will assist you with that process. 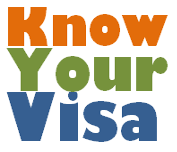 Before coming to the United States, a foreign person needs to apply for a visa at a U.S. consulate abroad, usually at his/her place of residence. There are exceptions to this rule for Canadians and Mexicans under some circumstances. There are also exceptions for nationals of certain countries who do not need visas and can come to the U.S. on a visa waiver. Some nonimmigrant visa categories (Hs, Ls, Ks, Os, Ps, Rs and Qs) are sponsored through a prospective employer and first require approval of a petition with the USCIS before the foreign person can apply for the visa at the U.S. consulate. Before applying for a visa, the foreign person will need to have a passport that is valid for 6 months beyond the time of anticipated stay. An issued visa means that a person has authorization to travel to the United States but does not guarantee entry. Once the person arrives in the U.S., he/she will need to be inspected by an immigration official at the port of entry. At the airport, the inspecting officer will look over the passport and visa, question the applicant, and will then allow the person to come into the U.S. if he believes that the person will be engaging in activities that are consistent with the visa. If the initial inspecting officer requires additional clarification, he will refer the person to a secondary inspections unit for additional questioning. If a person is admitted into the United States, he/she will receive an I-94 arrival/departure record (white colored cardboard card) from the inspecting officer. For those entering on a visa waiver, you will receive an I-94W (green colored cardboard card). This card is extremely important as it indicates your period of authorized stay in the United States. Be sure not to lose it as you will need to relinquish it to the U.S. government when you leave the United States. Who doesn’t need a nonimmigrant visa? In general, Canadian citizens do not need to have a visa to enter the United States except when they seek entry on an E visa. When a Canadian citizen comes to the U.S. as a visitor, he is admitted for a period of 6 months maximum. Canadians may apply for work-related TN and L status at a Class A port of entry or preclearance/pre-flight inspection. Non-Canadian spouses and children will need to apply for a visa at the U.S. Embassy or Consulate. No visas are required for individuals who are nationals of certain countries that qualify for the Visa Waiver Pilot Program. Currently, the following countries are on this program: Andorra, Argentina, Australia, Austria, Belgium, Brunei, Denmark, Finland, France, Germany, Iceland, Ireland, Italy, Japan, Liechtenstein, Luxembourg, Monaco, Netherlands, New Zealand, Norway, Portugal, San Marino, Singapore, Slovenia, Spain, Sweden, Switzerland, United Kingdom and Uruguay. Individuals from these countries may come to the U.S. for a period of 90 days as a B-1 (visitor for business) or B-2 (visitor for pleasure). The person would need to possess a round-trip ticket at the time he/she comes to the U.S.
Is it possible to hold more than one nonimmigrant visa at the same time? No, a person cannot hold more than one nonimmigrant visa status at a time. What are the visa classifications? Diplomats (A visa) – This visa allows for diplomats, officials and employees of foreign governments recognized by the U.S. to come on official business. Visitor for Business (B-1 Visa) - This category is reserved for individuals who need to come to the U.S. for temporary business reasons such as for contract negotiation, consulting with business associates, participating in conventions, etc. Visitor for Pleasure (B-2 Visa) – This visa is for people coming to the U.S. for pleasure such as tourism, social visits to friends, and for health reasons, etc. Treaty Trader (E-1 Visa) – This visa is reserved for individuals who wish to carry on substantial trade that is international in scope between the U.S. and a foreign state of which he is a national and there exists a treaty of friendship, commerce and navigation or Bilaterial Investment Treaty or other arrangements (i.e. NAFTA). Treaty Investor (E-2 Visa) This visa is for people who has invested or is actively in the process of investing and there is a treaty between the foreign state of which he is a national and the U.S.
Student (F visa) – This visa is for bonafide students who wish to pursue a full course of study. International Organization workers (G visa) – Staff members of a listed international organization (i.e. IMG, UN) who are assigned on a resident basis are given this visa. Specialty Occupation Worker(H-1B Visa) – This visa is for people who wish to work in the U.S. in a specialty occupation such as those jobs requiring a bachelor’s degree or equivalent. Professional Nurses Working in a Health Professional Service Area (H-1C visa) – This visa permits foreign trained nurses to work temporarily at hospital in areas where there is a health professional shortage. Temporary Agricultural or Seasonal Worker (H-2A and H-2B visas) – These visas are for temporary workers performing agricultural labor or services of a temporary or seasonal nature. Trainee (H-3 visa) – This visa allows temporary workers for purposes of receiving instruction and training. Media workers (I visa) – This visa is for representatives of a foreign press, radio, film or other type of information company. Exchange Visitor (J visa) – This visa is for individuals who are coming to the U.S. to participate in an exchange visitor program that has been designated by the State Department. Fiancé (K-1 visa) – Individuals who are engaged to U.S. citizens may be sponsored for this visa. Spouses of U.S. citizens (K-3 visa) – Individuals who are married to the U.S. citizens may come to the U.S. on this visa while they are waiting for adjudication of their family petitions. Multinational Manager (L-1A visa) – This visa permits multinational managers or executives to be transferred to the U.S. from a foreign company that is affiliated with the U.S. company. Specialized Knowledge (L-1B visa) – This visa permits an individual who has obtained specialized skills or knowledge at a foreign company to come to the U.S. to transfer his skills to an affiliated U.S. company. Student (M visa) – This visa is for students who wish to study at a vocational or nonacademic institution. Athletes and Group Entertainers (P-1 visa) – This visa allows entry for a person who is performing as an athlete, individually or as a team member, or as an entertainer who is part of an entertainment group. Artist or Entertainer as Part of a Reciprocal Exchange Program (P-2 visa) – These individuals would enter under a reciprocal exchange program between an organization or organizations in the U.S. and one or more foreign organizations that allows for the temporary exchange of artists. Culturally Unique Artist or Entertainer (P-3 visa) – Individual or group artist may apply for a visa to perform, teach or coach in a culturally unique program. International Cultural Exchange Program (Q visa) – This visa is for participants in an international cultural exchange program that was designated by the U.S. Attorney General. Religious Workers (R visa) – This visa is for individuals working a religious capacity (i.e. a minister) or in a professional capacity in a religious vocation or occupation. The attached pamphlet is given out by the U.S. Department of State to assist individuals who come to the U.S. on a temporary visa and to alert them of their rights. It offers a number of good tips to foreign workers.